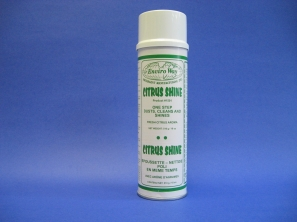 CITRUS SHINE is a cleaning, shining and dusting spray containing no silicones, wax or chlorinated solvents. 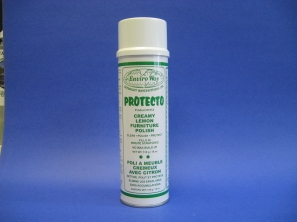 Protecto is a creamy polish and protectant made from natural beeswax, lemon oil and silicone for one step preserving of high quality wood. Rich creamy type emulsion treatment which cleans, dusts and polishes in one application. Leaves surfaces with long lasting high lustre shine. Special silicones, waxes and cleaning agents buff out easily and provide a dust repellent water resistant coating.